Naples, FL. Vacation Rentals by Owner are featured with rental villas, condo rentals and vacation homes, that will provide you the ultimate vacation at the comfort of your own home. Theonline vacation rental softwareavailable at ivacationonline.com will allow you to select your favorite Naples, Florida Vacation Rental direct by owner at great prices. A Vacation Rental in Naples provides wonderful beach destinations to enjoy sunbathing and fun in the white sand. However, the coastal waters provide plenty of fun as well. You can visit the piers, go deep sea fishing, spend the day snorkeling or take a boat ride. The surf is gentle on Naples Beatches, so the family can enjoy swimming and body boarding in the ocean. If you are a nature lover you will have a great time spending the day in the Everglades, Parks or Wildlife Preserves. The Everglades known as the "River of Grass" is home to several species of wildlife. You may be able to observe alligators, birds, racoons, black bears, wild cats and several species of trees and plants. This is a great place to take the family and learn about the different wildlife and plant species. You can hike through the parks or rent a canoe or kayak for the day. Naples, FL is a vacation paradise where you can enjoy the sun, beaches, golfing, shopping and the outdoors. You will also have a variety of upscale restaurants you can choose from to dine in. 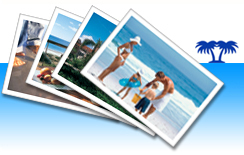 If your ready to book your next Naples vacation online, you can do it right here at ivacationonline.com with our state of the artvacation rental software.Your next vacation rental by owner can booked in a matter of minutes!